Contouring is slowly becoming quite the intriguing thing to me. Rewind a year, where I had almost no interest in this as I didn't think it's something I could do. Nowadays brands are launching products to try and make contouring as easy as possible for the average woman like me. I've now accumulated quite the contour product collection and please welcome newest and prettiest Too Faced Cocoa Contour Chiseled To Perfection Palette (£28)! Why is this contour palette any different to others? Read on to find out! The palette is packaged in paper packaging, with magnetic closure. It has four powders for contour with a mini Contour Buki Brush. The four powders are: Light Cocoa - a matte highlighter; Medium Cocoa - a cool toned contour powder; Dark Cocoa - a warm toned contour/bronzer powder; and Pop of Light - a glittery/shimmer powder. The powders are so so fine to touch, that it's absolutely undetectable on the skin. The powders are highly pigmented. I've been using my B. Beauty Contour Brush to apply the contour and the tiniest amount seems to be enough for a light daytime contour. Because if the light texture, you can really build on your contour and make it as sculpted or as natural as you want. The Cocoa Contour Palette comes with a little booklet that shows you the three ways that you can apply it. I think this is super helpful for anyone who might be unsure of how to apply or novices like me! I personally use Medium Cocoa for the contours of my face and Light Cocoa as the highlight. The matte highlight is perfection, it really makes the the contour look so natural and skinline. 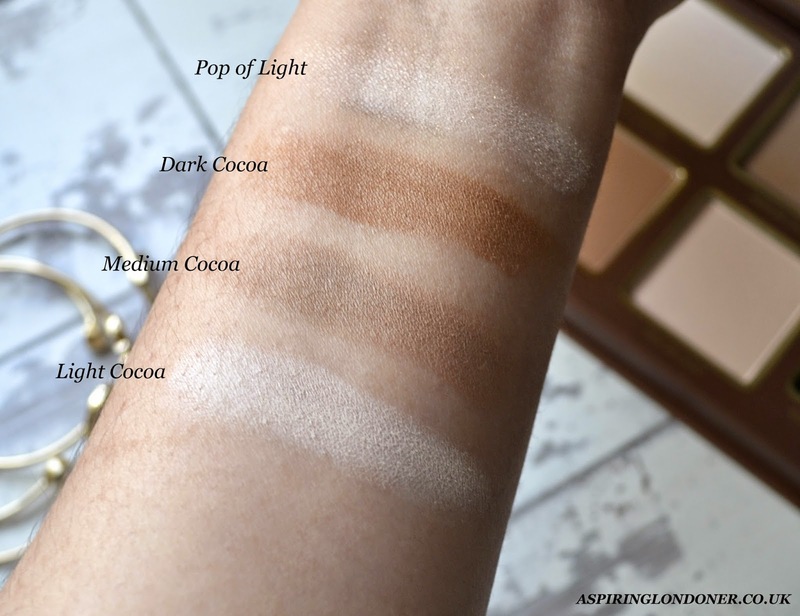 The cool tone of Medium Cocoa works really well for my as it adds shadow to my naturally warm complexion. 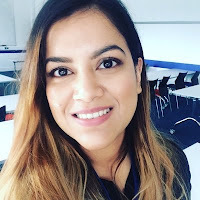 If I'm contouring in the evening, I add a little bit of the Dark Cocoa around the perimeter of my face, this adds a sun kissed warmth that looks like I've caught a little sun! I don't use Pop of Light too much, as it has quite large glitters and looks a little too much. Sometimes in the evening, I dab a little of this on my brow bone or my eye lids to add a little sparkle. What I most love about this palette is the choice between the warm and cool contour powders, and the matte highlight! Absolute perfection! The swatches are just one swipe so you can see the intense pigmentation. 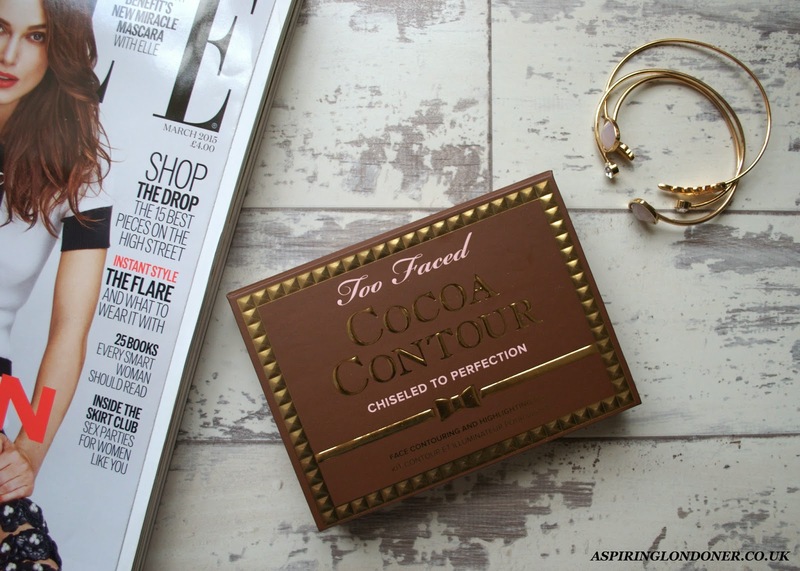 If you're a fan of contouring and love Too Faced products, this is one for your collection! It's available exclusively on the Too Faced UK website. 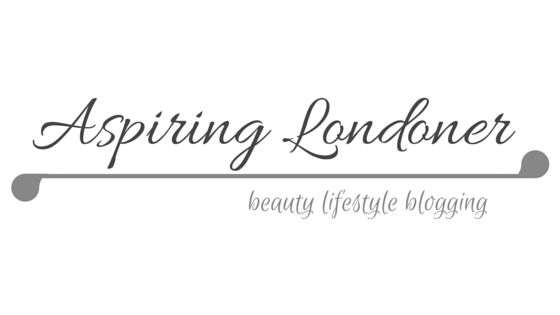 What are your thoughts on contouring - love it or leave it? 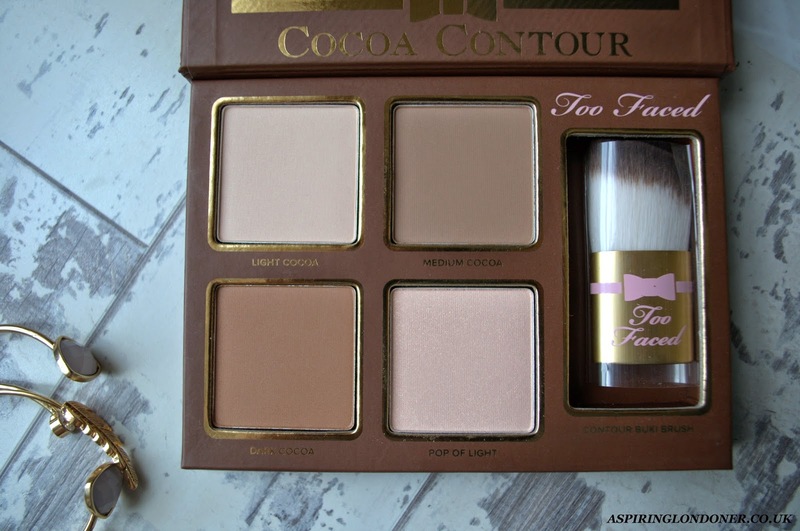 Will you be picking up this brilliant Too Face Cocoa Contour palette? Share in the comments below or tweet me @aspiring_london!